Book flight tickets at least two months in advance at a reasonable price. Air Asia is the cheapest airline and has good deals. I found it perfectly comfortable for a flight of 3 Hours. Your transit point could be Kuala Lampur or Bangkok. I flew into Siem Reap and flew out of Phnom Penh. I would suggest the same if you want to explore the country. Coming back to the same location is not difficult but is a waste of time. 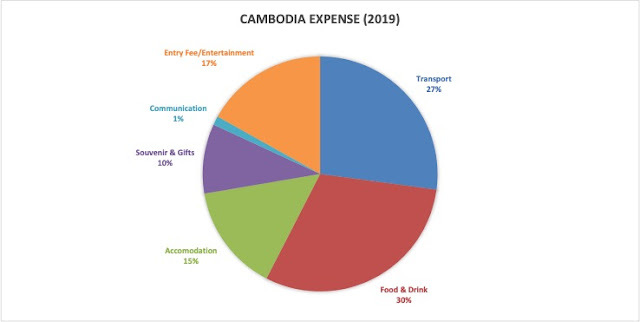 Cambodian Government offers visa on arrival service for many countries. For Indians as well. It might be about 5-6$ cheaper if you directly apply for it there. But I would recommend obtaining an e-visa which takes just 5-10 minutes to revive your permit on the Government website. Carry US Dollars with you, from your respective country. All transactions in Cambodia are done in Dollars or Riel. People often prefer US dollars over Riel. Carrying small changes like 1$ would come handy as most goods and services are priced around a few dollars. I often carry a Lonely Planet guide to plan my travels within a country. I must say that I did not really use it much. You can just arrive at a hostel and then discuss with co-travellers to get an idea of what to see or where to go next. If you like to have something handy, then Lonely planet or any guide book would do. If you have not brought US dollars with you, then you could use one of the ATMs to withdraw some money. Exchange rates are better in town. In 2019 it was 4000 Riel for every dollar. So, I would recommend you exchange money in local shops to get better deals. As it is, you can survive just with US Dollars. Also important is to buy a sim card. I bought that of Smart network and it had excellent connectivity everywhere. I bought the sim at the hostel. I would recommend the same. I paid $4 for the sim and then charged it one more time after a week for $2. It had good data plan. You can find hostels almost everywhere in Cambodia. There are guest houses in both cities and remote places. I find Hostels cheaper ($5-10) for solo travellers. You could use Hostelworld to make your bookings. I would recommend hostels like Onederz at Phnom Penh and Sihanoukville, Lucky Hostel at Battambang and Mad Monkey in Koh Rong Sanloem. You can check the posts on particular city for the hostel details. Almost all hostels are neat. The toilets in Cambodia are wet toilets so they would have faucets (Which the travellers refer to as Bum gun) so western travellers should carry toilet papers. There is no Government public transport in Cambodia. Cities don’t even have buses. So, all rely on tuk-tuk and motor bike Taxi (Remork). To travel within the city, I prefer walking. If you want, you can try two of the earlier mentioned mode of transport. For exploring around a city, you can hire scooters for $8-10 per day. It is cheaper to rent them outside than to rent them at the hostel. For long distance travel, there are several private bus services. It is easy to book any of them by walking to their offices in the city. Usually the bus stations are outside of town but there would be a shuttle service running between the office in the city and the station. Again, buy the tickets directly from the operators rather than from the hostel who charge $3 more. I would highly recommend Capitol bus service as they are professional. I did try others, but they were not as consistent and punctual as Capitol. 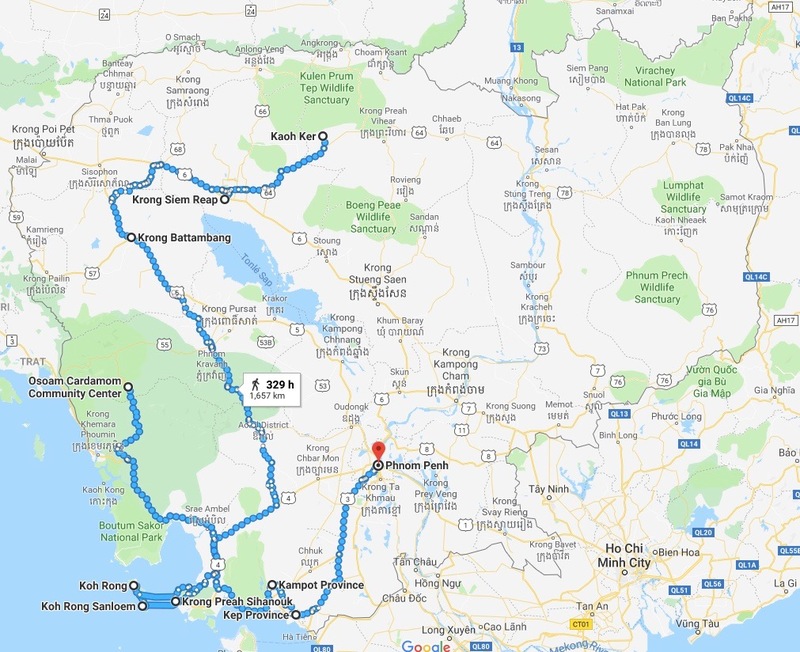 You can also find shared taxi for long distance travels. Food in Cambodia is delicious. As a vegetarian, my options were limited but whatever I ate were just amazing. Amok is a traditional dish of Cambodia. It’s a curry made of coconut milk gravy steamed in a plantain leaf. Fried noodles is tasty as well, depending on how it is prepared. In most cities, you will find pizza, pasta or burgers in almost every restaurant. There are a few all veg restaurants like my favourite Monorom Garden in Battambang. Everything I had in this restaurant was simply delicious. While on road, you must try the bamboo sticky rice, a traditional rice variety cooked with coconut milk and some beans in a bamboo cup. Also, rice cakes and spring rolls are tasty. There are a lot of rice or banana based snacks that you find to munch on while riding. For desserts do not miss the tasty Mango sticky rice. Fresh fruit juices are common here and also cold coconut water. Coconut water is a life saver in that weather. Rice wine is something you should taste if you are into alcohol. But one big disappointment for me here was that this is the only country I have traveled to where water is not free. I could refill my bottle (That too from a water can) only in some places but mostly they prefer selling water bottles. Almost everybody drinks bottled water. As mentioned above, Smart network worked great for me. I had network even in remote areas like Cardamom mountains region and the islands. Recharging can be done at any shop in the town. The people of Cambodia are extremely kind and friendly to the tourists. They are never short of a warm smile. But what I really like is that they don’t bother the tourists. In fact they don’t even stare at foreign travellers. The country relies heavily on tourism so one is sure to have a great experience here. While visiting a temple or a monastery ensure to be dressed decently - Your shoulders must be covered, wear something that covers your legs up to knee. 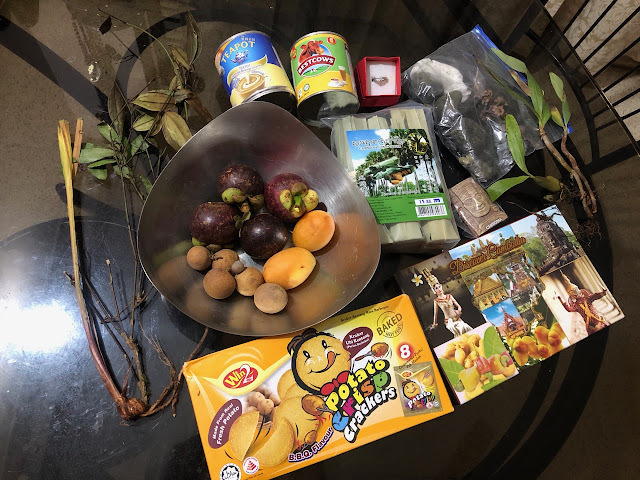 Buy silver jewellery in Siem Reap (At Night market) or Phnom Penh (At Central Market), tropical fruits from local market (Mangosteen and Longans are my favourites), palm sugar, real cheap clothes and cashew nut. I would highly recommend making your purchases at local and Night markets of Siem Reap. They are the best. Night market in Phnom Penh is also good but not as vast as the former. I spent around Rs 40,ooo on this trip of 14 days. This amount does not include flight and visa charges that depends on your booking. However, for me, I did spend a bit more on souvenirs and food. I could have easily reduced my expense to Rs 30,000. So I think you can estimate a budget travel cost of Rs 2500 per day.